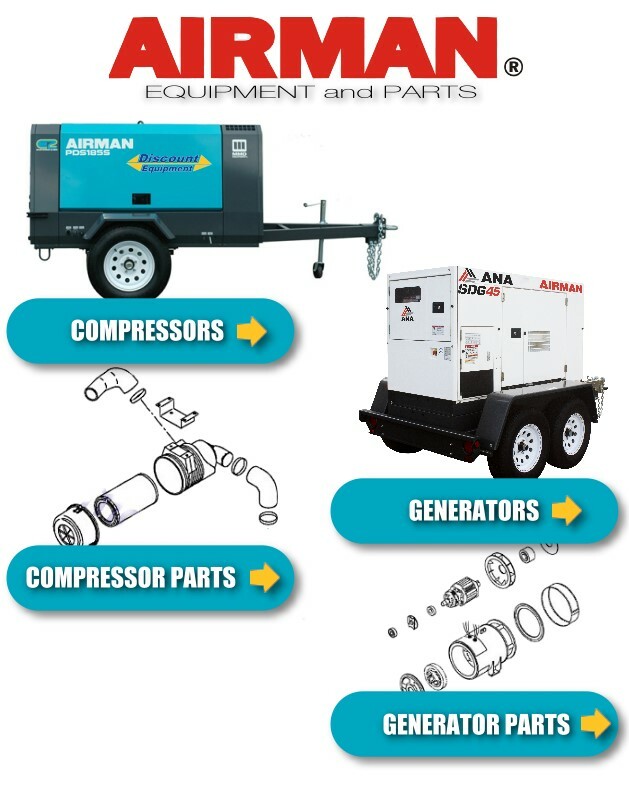 Airman / Hokuetsu Compressors, Generators & Parts. PDS100S, PDS130S, PDS185S, PDS400S, SDG25S, SDG40S, SDG45S, SDG65S, SDG100S, SDG125S, SDG150, SDG220S, SDG300S, SDG400S, SDG500S & SDG610S models. We are a full line Authorized Distributor Dealer since 1999 for all current and legacy models of the Airman line. Including online ordering please click below on the category you are looking for.